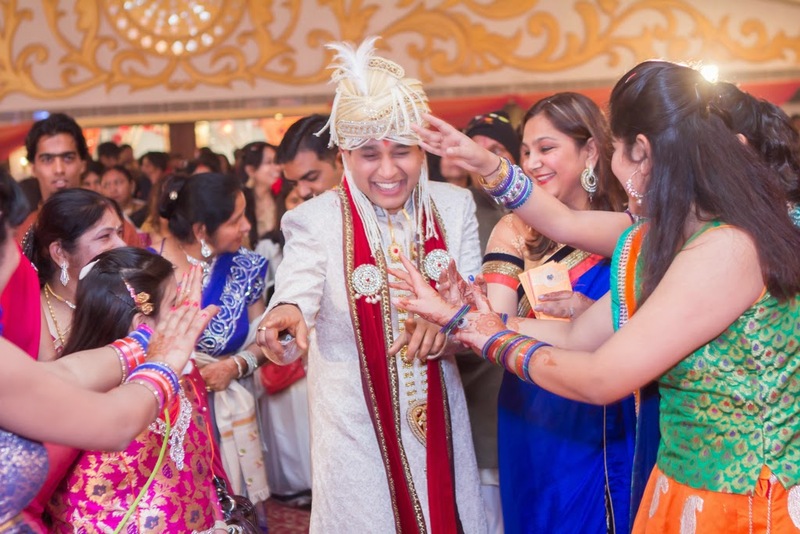 Their wedding destination was an ideal dream destination: Chattarpur farms, Delhi! They couple had this matter settled for them, it had to be Chattarpur (oh yes... was an elite wedding :)). "The search for something out of the world kept going throughout Delhi for days" says Shweta. 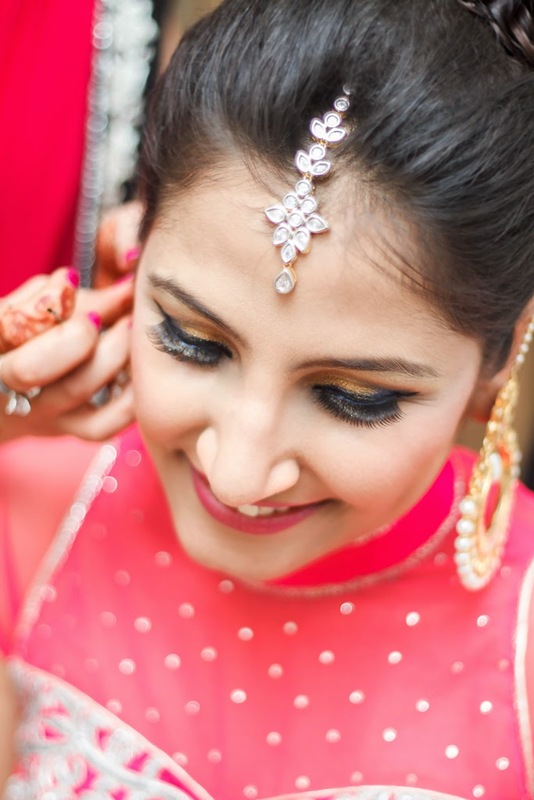 Luckily, she zeroed in on the first thing she set her eyes on (that's a herculean task for a girl ;)) Simply because it was pretty, and for the first time gave them the feel of being a bride and a groom. 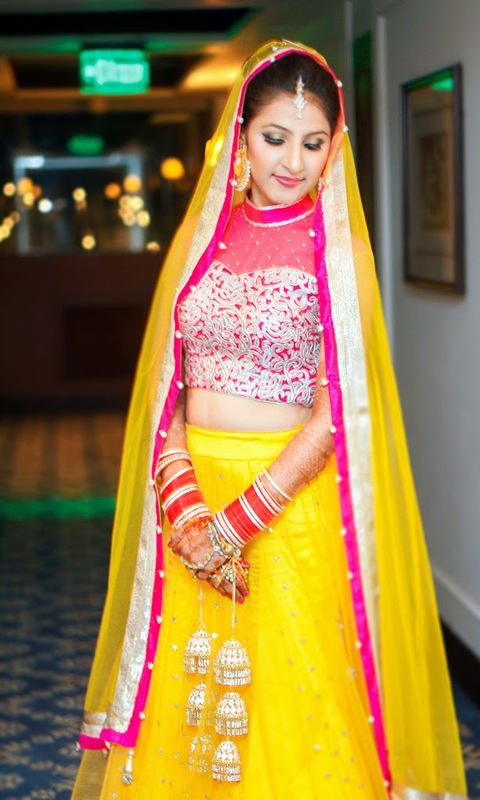 According to Shweta, Frontier Raas, South Extension is the best place to get your trousseau. "It is a one stop shop, no waste of time. You can spend hours and hours to find the right thing for you, but remember, no matter what you finalize for yourself, you are bound to stand out of the crowd and look just 'The Best'. Simple reason...You will be the only Bride and the only Groom there" (Hahaha.. so true, such logic). Shweta's tips for you? Just wear your confidence! Then came the million dollar look, (there is no glow like the bridal glow, no one can beat it, trust me). The second most confusing and hardest decision for a bride is the bridal makeup. "10+ trials and visits to makeup artists and beauty salons, and once again, the first one was the best one" admits Shweta. Human nature is funny, there is an undying search within us for the best. She opted for Inglot at Vasant Kunj and Neha was her artist. It is economical as well as exceptional in customer service, just makes you feel at home. "Please please please take lots and lots of trials before you finalize!" Shweta implores. "This way you will be sure about what you really like and what you don't. And make sure that your artist listens to you earnestly, because in the end, you are the bride/groom"
Ironically, people usually compromise on the photographer, I still don't get it why! They seal the golden moments for your whole life. They are the ones who give you a run down the memory lane and a reason to smile every time you look at the pictures. So the photographer has to be 'The Best'. 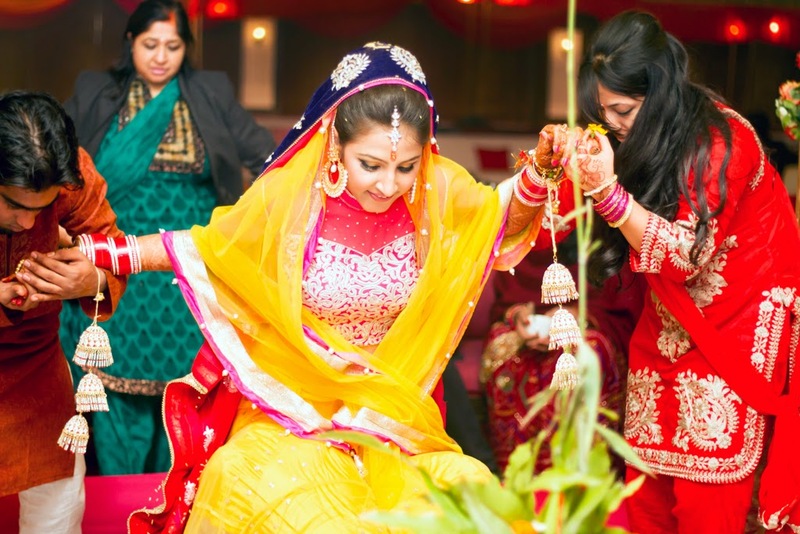 Shweta says "Long before even the marriage was fixed, I used to get mesmerized by the dreamy photos on a Facebook page of a wedding photographer. And when it was my turn to decide, without any confusion I went straight up to 'Soulmate Weddings'" (the power of social media). Their work alone was enough to give Shweta the confidence that no one else can capture her story better. "They weaved the story just like a fairytale! 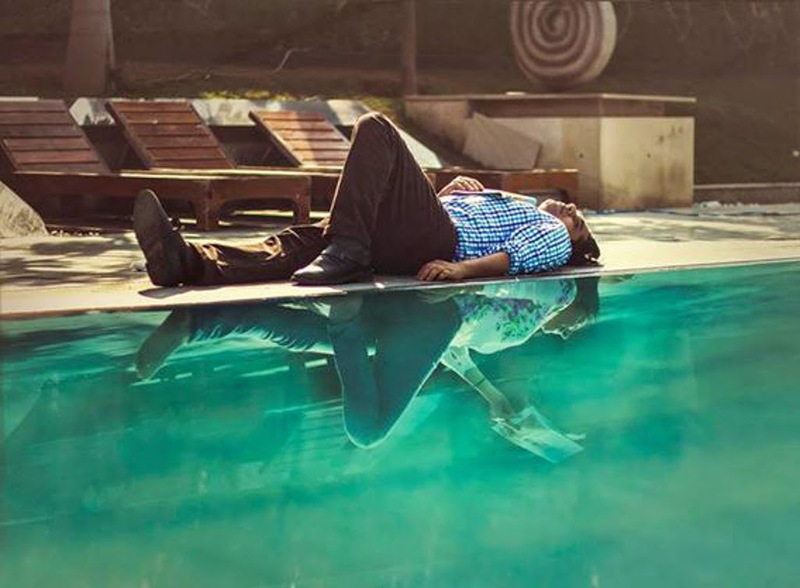 Their creative ideas on the super-fun pre-wedding shoot, and their brilliant shots during the whole wedding ceremonies left me thanking my decision some hundred times" she reveals. Next, we spoke about another important ingredient for a delicious wedding! FOOD! Food is one of those elements of a wedding that lasts longest in your guests' memories. Everyone is going to talk about it (khana kitna swaad tha! or uff... itna kharcha kiya, aur thoda karte khane pe..). "The venue needs to be spacious, clean, decorated and filled with positive energy and most importantly the food should be finger-licking good" quips Gaurav. They hired Country-Inn suites and Oodles Hotels in Chhatarpur, New Delhi to fulfill their catering requirements and they had an amazing experience with them. "Yes, we hired ourselves for our wedding planning, because only we knew exactly what we wanted" laughs Shweta. 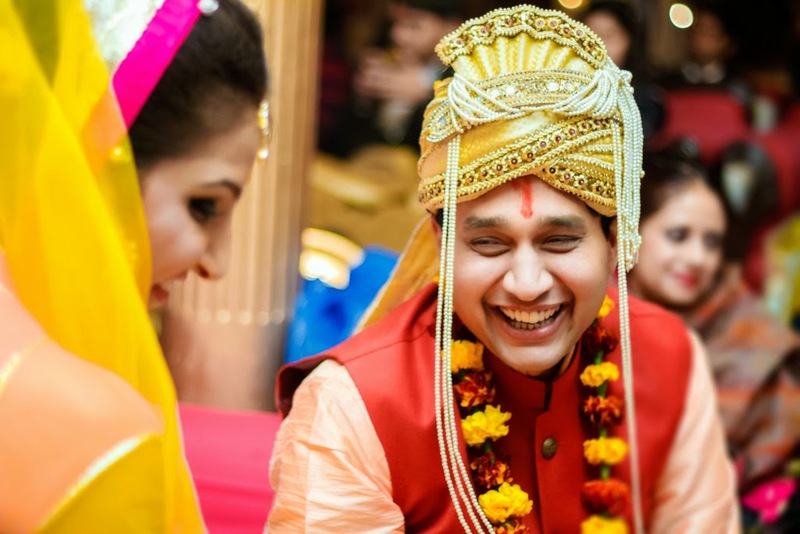 "And the charm of doing everything on your own, running around old Delhi streets to find the pooja stuff, hunting every market to find the matching accessories, deciding the color themes and decor, deciding the menu and multiple visits to decide the venue...all this is the real fun of the wedding saga" (couldn't agree more). "Despite being an arranged marriage within days everyone started speculating that it is surely a love marriage. What happens when an ever-smiling and cheerful girl meets a happy-go-lucky charming guy? What happened to us! They fall madly in love with each other" giggles Shweta. Smirking around, having nonsensical conversations and pretending to be sensible on the serious ones, they fell in love and didn't even realize. "This simplicity of the whole transition made us sure about spending many lives together just like this" says Gaurav. The candidness on this shoot had to begin with Shweta's infectious laughter. It was so infectious that by the end of the shoot Shalini was caught giggling exactly like her. There was so much mirth around naturally that the shots were flowing out of our creative boxes without us even trying. The only art direction if at all that went into the shoot would have to be choosing the right colour dupatta for the pre wedding shoot and at the time of the feras when Shweta's wedding dupatta was too heavy to carry on her head. Last minute panic filled the room when we suggested that Shweta should carry another dupatta from the morning earlier as it was exactly the same colour and light as a feather. Shweta tried and it worked like a charm. The couple is gorgeous ! They are most amazingly in love and are not afraid to show it. Shweta is crazy about Gaurav and Gaurav is the kind of a guy who would bring the world down for Shweta if she even hints at something that she 'might' fancy. We hope and wish that they keep these flames burning throughout their lives. Beautiful story and beautiful pictures! I love all the vibrant colors & the jewels she wore were stunning! The couple have a great time in light of the fact that destination of wedding in delhi. The best part is the point at which pick icon place for your wedding . Marriage greenhouse is full-fill your wish you need in your marriage. Such an incredible story from commitment of couple at destination place.